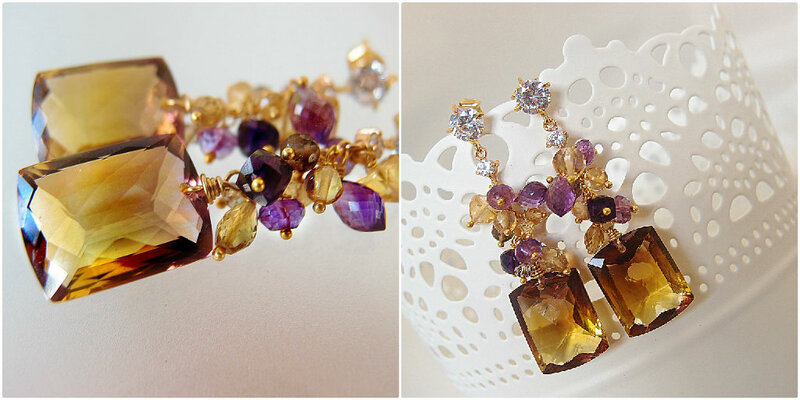 I am fascinated by ametrine especially in stones with exceptional blending of the colours of amethyst and citrine. This pair is a case in point. Exquisite. I've topped this off with amethyst, smokey quartz and citrine stones in a variety of shapes and sizes. A crystal connecter with a gold fill bezel connects the gemstones to the earstuds.